The project involves the installation of state of the art tree-felling equipment and supports the environmental agenda of the Welsh government by providing biofuel for power stations. This project is part of the Processing and Marketing Grant (PMG) scheme of the Welsh RDP, which provides financial assistance for capital investments, thus adding value to agricultural and forestry products. 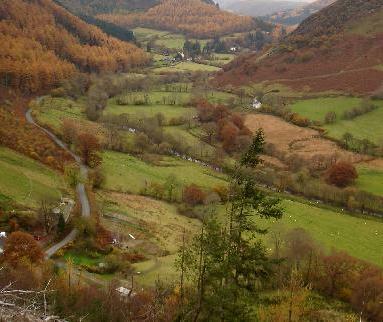 The scheme enables primary producers of agricultural and forestry products in Wales to add value to their outputs. Key objectives of this project include: improving the performance and competitiveness of the businesses to respond to consumer demand; encouraging diversification of traditional business activities on farms towards renewable energy production. General objective of the project is to identify, exploit and serve both newly emerging and existing markets. The project involves the purchase and installation, by "Geraint Watkins Timber", of new, state of the art, tree-felling equipment, which is capable of felling and stripping branches from a tree in just minutes. This equipment, used in the sustainable upland coniferous forests of Wales, features a specially modified excavator with upgraded hydraulics and a computerised control system that operates the tree-felling unit. The project will support the environmental agenda of the Welsh Assembly Government by providing biofuel for power stations in Wales through the use of the new tree-felling equipment. This project has already shown that upgrading equipment is not only a necessary part of innovation and business efficiency but also essential for contributing to environmental objectives. Moreover as diversifying and using alternative sources of energy such as biofuel is very beneficial and it should be high on the agendas of famers and foresters.